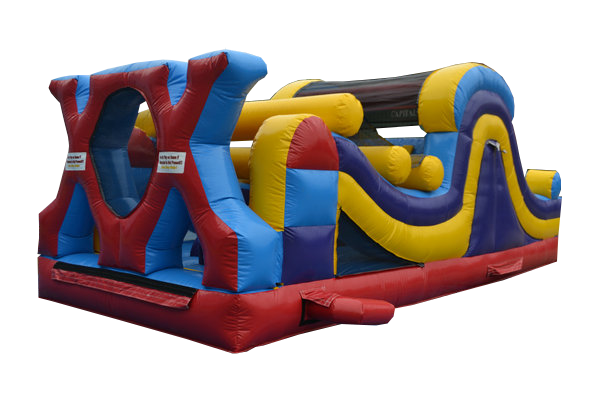 This inflatable obstacle course was designed to meet the needs of a customer that wants a nice obstacle course, but has a limited space. 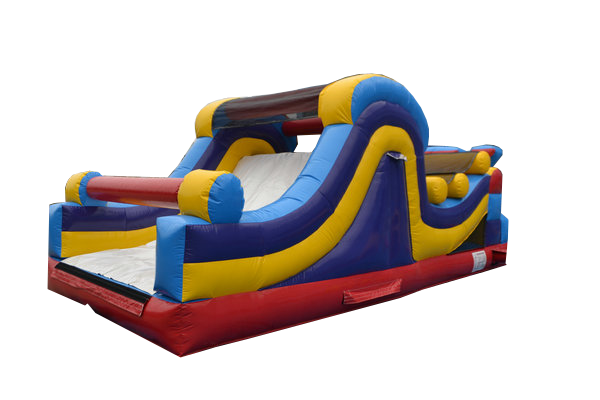 Your guests will race each other crawling, climbing and sliding to the finish line. 25' long, 11' wide and 10' high. Would you like to see a video of this amazing obstacle course?